What can I say! 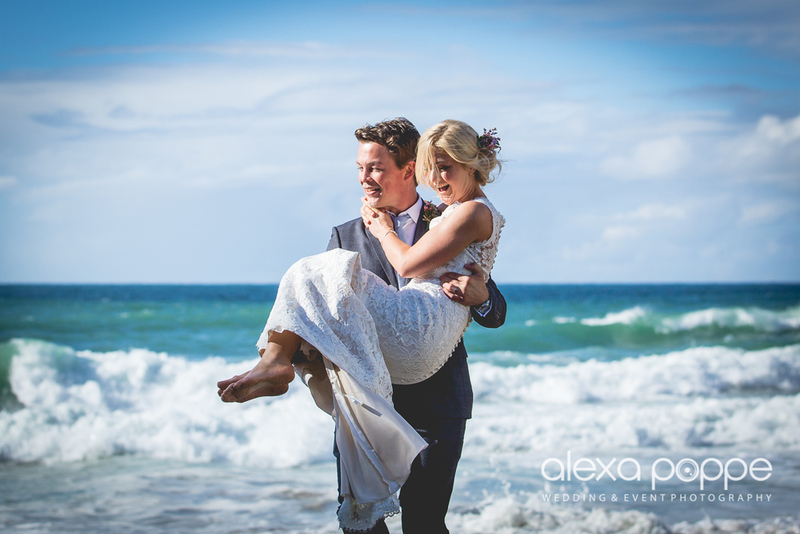 Louise and Alex were blessed with a beautiful sunny September day and had their reception at the stunning private beach venue Lusty Glaze. You can't get closer to the beach to celebrate your wedding in Cornwall. Louise and Alex were a real fun couple to work with and they didn't care getting their feet wet.. Here are a few images from our private couple portrait shoot on the beach.. more coming soon, I promise. I'm just really busy at the moment editing all your lovely weddings..